The e-commerce market is anybody’s game, but it’s also very competitive. Because there are so many stores out there, you have a limited opportunity to capture the customer. Shoppers only spend about 10 seconds on a website before deciding to move on. If your web design is not up to snuff and is unable to hold the customer’s interest, the strength of your products won’t matter. In order to avoid bad web design, there are a few principles you must follow. 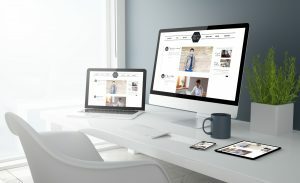 These five instances of basic web design can make or break the success of your website. Mobile users should be your primary demographics in devices. Every two in three minutes online is occupied by mobile browsers. That means if your e-commerce store isn’t properly displayed on smartphones or tablets, you are losing business. Ideally, your web pages should be responsive and mobile-optimized. If you are unsure whether or not your store is mobile-optimized, you can ask experts about it at Cotsworld Web. You can have the most advanced website with the slickest graphics but still fail to capture your audience. A lack of focus can be attributed to poorly thought out themes. 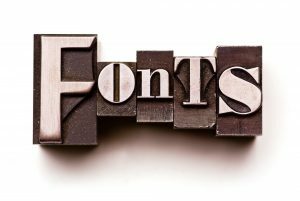 If your font, size, kerning, spacing, and etc. are incompatible, it can lead to confusion. The eyes won’t know where to focus on, so everything starts to feel busy. Proper design principles must be adhered to, regardless of how much is spent. Navigation is key when designing a successful e-commerce platform. If the user doesn’t know where to go to filter, sort, or edit search results, their patience will wear thin. Make it easy to navigate your website by including plenty of search options. File these common search options into convenient drop-down menus and sidebars. This will keep things from getting too crowded. Stock photography should be used cautiously. Although high-quality stock photos can enhance professionalism, they can also cheapen it. This all depends on how said photos are taken. All white backgrounds that reveal little detail of the product can look inauthentic. If you go the extra mile and take your own product photos, customers will notice. Most smartphone cameras can get the job done, just find yourself a nice softbox. Make sure you alternate background colors to avoid monotony. Avoid having either useless, obvious product descriptions or leaving them blank. Creative product descriptions help SEO and help engage the customer. The customer doesn’t want to browse endlessly with only product photos. Sometimes customers browse purely by descriptions. Electronics are a good example of when thorough descriptions can keep an e-commerce store successful. The longer that bad web design is allowed to go unfixed, the more you hurt your SEO. It’s like having a slow leak in a boat and watching yourself slowly sink. You wait too long and it might be too late to come back. 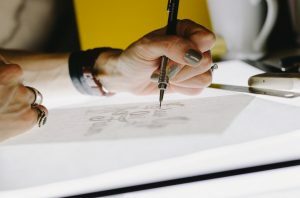 If you’re looking for more tips on how to improve a website like these, stay connected with our graphic design blog. Learn from the creators and trendsetters and stay ahead of your competition.